Automatic load place the blockplate. 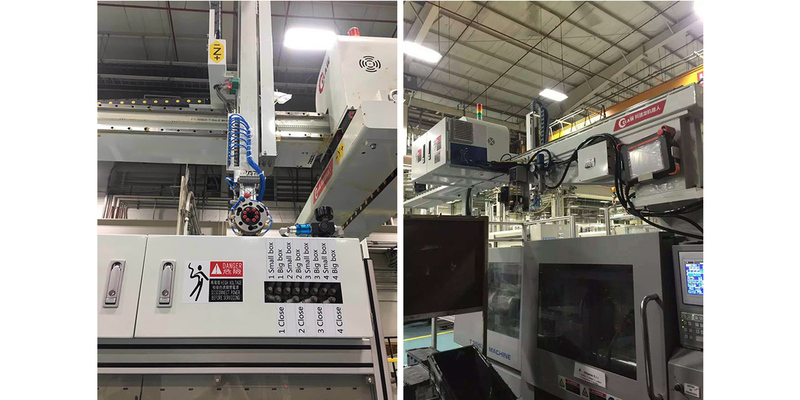 Only need to change the EOAT of robot for different mold. Highautomation, robot is reliable and easier to maintain. Main component are famousbrand to ensure the lifespan of the equipment. Functional characteristics of the bin cellmachine: the bin cell machine can put four turnover boxes (big or small ones)and has four buffer boxes. Through the operation panel, the big or small onescan be selected. The funnel can switch automatically. 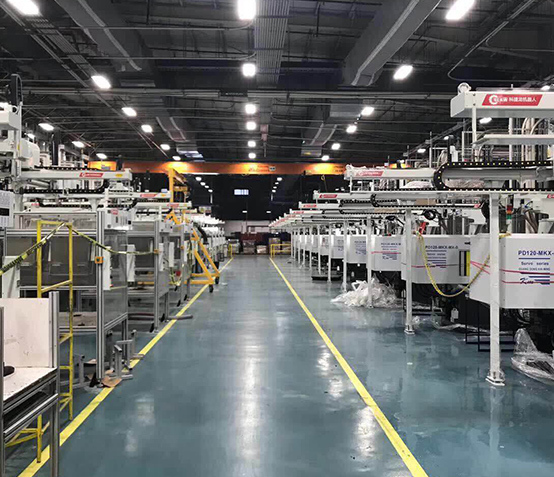 Four surrounding boxescan be set up separately with N full boxes, automatic counting. After the boxesare full, operator can be reminded to replace the turnover boxes by alarmlights.